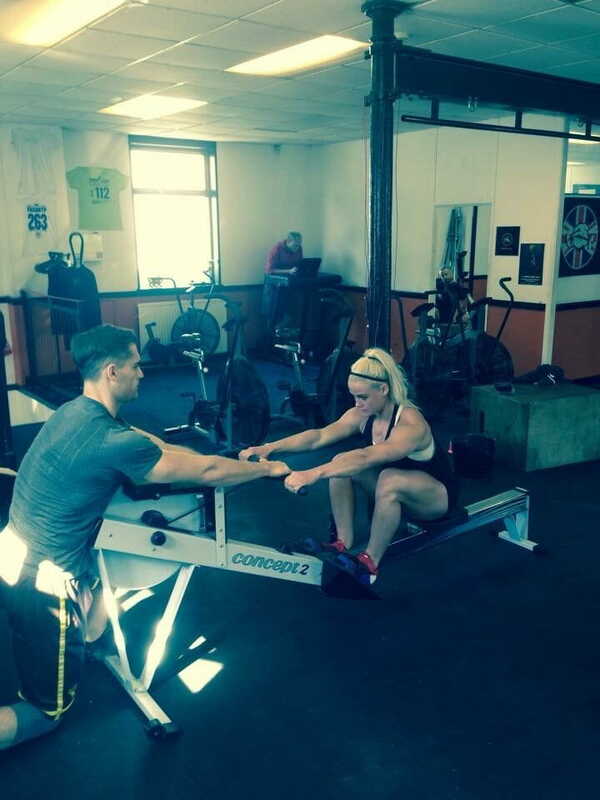 Cam competes and coaches in Crossfit, most recently helping European athletes including Sara Sigmundsdottir, Bjorgvin Karl Güdmonsson, Steven Fawcett and Phil Hesketh with their rowing before the CrossFit Games. As a two-time world silver medalist and former Olympic Rower, Cam Nichol’s insight into rowing is unquestionable. We are pleased to bring you his top five tips on how to improve your engine through rowing. Cam recently swapped the oar for the barbell, as well as becoming a full time doctor. Cam competes and coaches out of Blitz CrossFit, Twickenham, most recently helping European athletes. 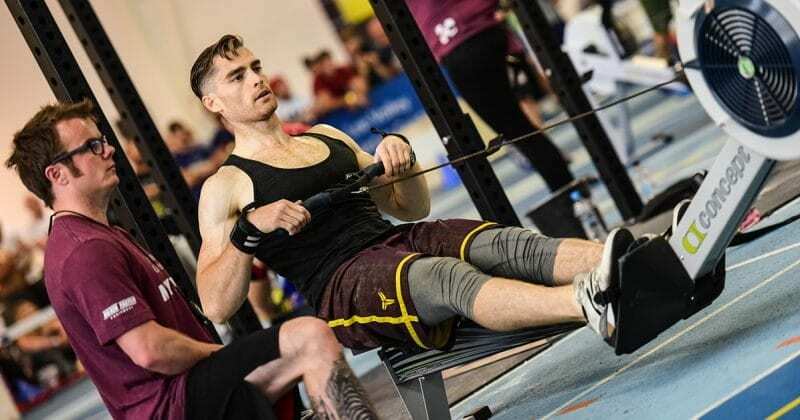 His passion for rowing is evident, as he on in a mission to unite the Crossfit community through his free project RowingWOD. Follow Cam’s tips, jump on your rowing machine and join in! I’m often asked about the best workout to build an engine. The answer is all of them. Building your engine is a long journey. That journey should be progressive and structured but also fun. Enjoy the process and you’ll likely accumulate more workouts and miles in the bank. As my former coach Jurgen Grobler would say “miles make champions”. And he’s made quite a few. Cam’s work was followed by other Games athletes, in the lead up to the Games. Crossfit rowing is varied and demands that we know more about the machine than professional rowers. Finding a cruising pace that leaves you fresh enough to attack a set of thrusters is just as valuable as your 2k time or maximum split (time/500m). Likewise, being able to transition on and off the machine efficiently is a skill that allows you to outperform international rowers on certain workouts. Practice makes perfect. Monitoring and recording your speed, rate and distance during training is an essential first step to achieving this. You’d never walk up to a barbell, add an any old weight, lift it, then walk away. Yet I see the equivalent on the rowing machine. Whatever the workout, take notice of your numbers, record your progress and hold yourself accountable. That’s how you’ll dominate CrossFit rowing workouts. 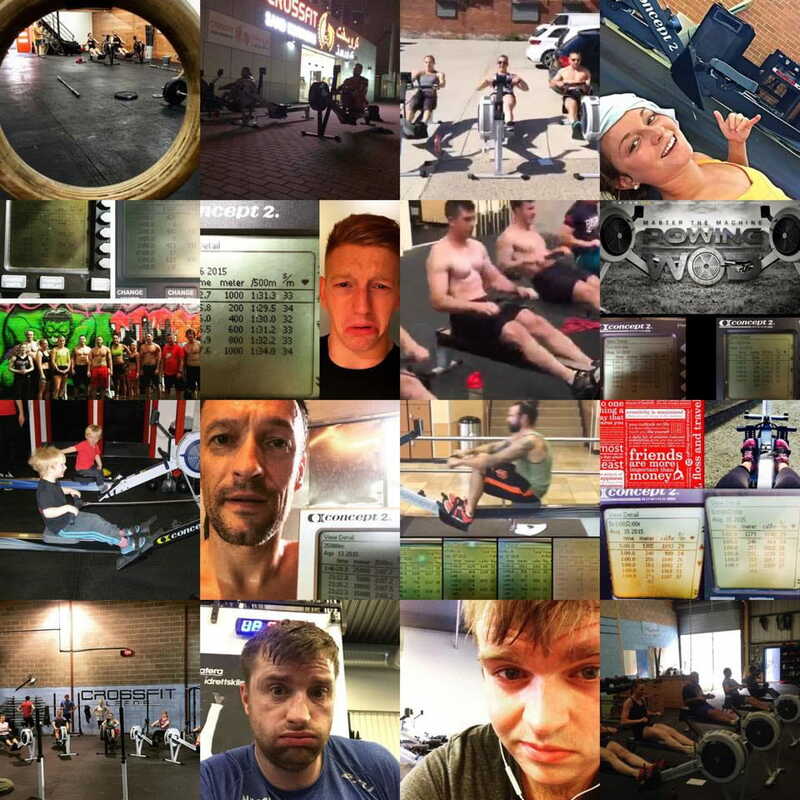 The community of RowingWOD, sharing progress and scores. To see results on the rower, you must push yourself. But falling off the machine and rolling on the floor like Ronaldo won’t clear lactate. Your workout is only as good as your recovery and in the rowing team, our mentality was that the next training session started as soon as the previous finished. To accumulate volume and build a big engine, this means clearing lactate from your system as quickly as possible after a workout. Get the work done and start your recovery instantly by sliding up and down the machine. Your hard work is shown in the score, not your post-workout lactate dance. The Crew at CrossFit Bath chipping away at the RowingWOD programming. Using your body weight to move the handle is a skill that unlocks real speed on the machine. Easy to learn; hard to master. The first secret to learn is that it’s all in the legs. Almost two-thirds of the power in the rowing stroke comes from the legs and they should be pushing your feet into the footplate from the moment the handle starts moving away from the wheel until it comes into contact with your body. I like to think of everything we do to move the handle as an addition to this long leg drive. The back opens smoothly but forcefully as the legs start to flatten. The arms finish off the stroke when the legs are flat but are still pushing your feet into the footplate. This is a strong drive phase. The recovery is simply the reversal of this movement and organises the body to take another stroke. The movement should flow so freely from one stroke to the next that an onlooker couldn’t point out a clear start/stop position at any point in the stroke. Think cycling rather than reps.
Get this right and it’s one of the most physiologically demanding movements on earth. Perfect for building yourself a V12 engine. From our heartbeat and breath to the way we move, rhythm is part of us. It’s also the driving force for speed on the rower. One of the best ways to strengthen your rhythm is to row together. So line up and cruise through the miles as a crew. Cam’s golden rule. Tune into the sound of the wheel, hear the noise you create and the natural crescendo of the drive phase. Join Cam’s crew at www.RowingWOD.co and on Facebook.